Surveillance video captured the incident, as seen in this screengrab. 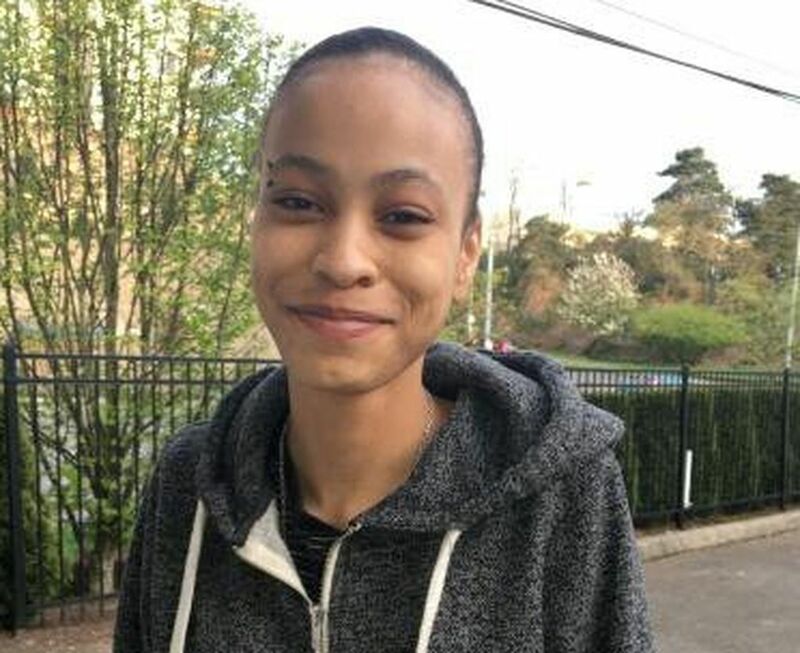 A 15-year-old girl who was grabbed by her hair and thrown to the pavement by an off-duty Tacoma police officer was awarded $500,000 in federal court. A teenager who was tossed around “like a child’s doll,” grabbed by her hair and thrown to the pavement by an off-duty Tacoma police officer working security at a Pierce County mall was awarded $500,000 in federal court on Thursday. The girl’s brother, who was also detained by the officer and another security guard when the teens were riding their bikes through the Tacoma Mall parking lot, was awarded $50,000, according to court documents. Monique Tillman, who was 15 in 2014 when the incident occurred, and her brother Eric Branch sued Officer Jared Williams and the city of Tacoma in U.S. District Court, alleging that Williams violated their constitutional rights, falsely imprisoned the two and used excessive force. Their attorneys did not ask for punitive damages and none were awarded, according to the siblings’ attorneys. City spokeswoman Maria Lee told The News Tribune in a statement that the verdict was disappointing and that Tacoma’s attorneys are reviewing the verdicts and rulings in the case before deciding whether to pursue an appeal. Plaintiffs’ attorney Rick Friedman said Tillman and Branch are looking forward to moving on with their lives. A bystander’s video, taken of the the confrontation between Monique Tillman and Tacoma police officer Jared Williams at the Tacoma Mall in 2014, was shared with The Seattle Times by Tillman’s attorneys. The bystanders can be heard in the video. 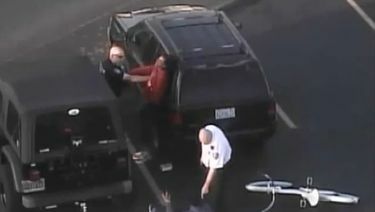 Surveillance video released by lawyer Vito de la Cruz shows the arrest of a 15-year-old girl at the Tacoma Mall on May 24, 2014. Tillman was 15 on May 24, 2014, when she and her brother, 16, dropped off clothes at a consignment shop, had a meal at McDonald’s and then headed home about 5 p.m., cutting through the Tacoma Mall parking lot near their house, said Vito de la Cruz, the plaintiffs’ attorney when the case was filed. While Tillman was riding, Officer Jared Williams pulled his Tacoma Police Department-issued patrol vehicle behind the wheel of her bike, the lawsuit said. Tillman turned around, asked Williams what was going on and why was “he trying to hit me with his car,” she said in an interview when the suit was filed in 2016. She knew her rights and knew that police are required to have probable cause before detaining citizens, de la Cruz said. In a video taken by a mall-surveillance camera that became critical evidence in the jury trial, Tillman can be seen talking to Williams and another security employee, while gesticulating with her arms and pointing. Williams, who was working off-duty for mall security, told Tillman that she was causing a disturbance and was going to be “trespassed,” or banned, from the mall and could be arrested if she were to return, according to the suit. As the officer appears to take a notebook from his chest pocket, Tillman can be seen in the video trying to pedal away. The suit claims Williams then “erupted and began physically assaulting and brutalizing” Tillman. Once she was immobilized, the suit claims, Williams tased Tillman and arrested her. She was charged in juvenile court with resisting arrest and assaulting an officer because Williams claimed Tillman had tried to kick him, de la Cruz said. Tillman’s brother, who is a year older, was also arrested and cited for bicycling without a helmet, said de la Cruz. The charges against Tillman and Branch — who are now 19 and 20, respectively — were dismissed by a judge who viewed the video and found no evidence that the officer was investigating a crime when Tillman was stopped or that she had assaulted Williams. Tillman said in an earlier interview that she was shocked the first time she saw the video. She believed she’d been treated poorly and unfairly because she is black, but had not known how jolting the video was. “I was absolutely in shock, anger and disbelief,” Tillman said. The suit was filed in the midst of the Black Lives Matter national movement and rising pressure on police departments to increase officer accountability for the use of force. Williams remains an officer with the Tacoma Police Department, which maintains that Williams did nothing wrong and was acting within policy guidelines, Friedman said.